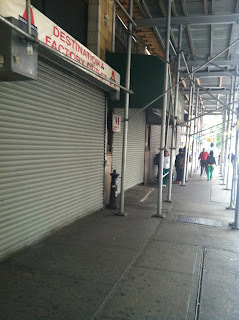 I went for a walk to buy some stationery and was shocked to see that Staples' 14th Street location had closed. 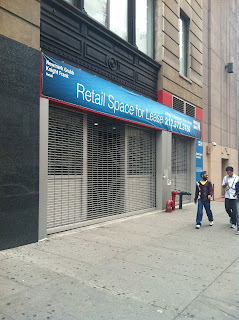 Another large block of stores had shut down further up the block--if Chase Bank, Subway and Duane Reade weren't already within one block of this, I'm sure they'd eat up these vacancies instantly. Around the corner even McDonalds had closed! 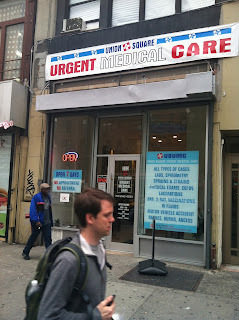 So you mean chains like Staples and McDonald's can't even afford Manhattan rents? I thought the trend was for mom-and-pop stores to close and for chains to open up in those locations as soon as they were vacant. But I guess even chains are having tough time selling reasonably priced items. I wonder what sort of overpriced crap new owners will need to sell to make a profit in this increasingly less convenient neighborhood. Cigars? Designer clothes? Belgian fries? 14th Street used to be prized as a bargain hunter's paradise with shoppers from all boroughs snapping up inexpensive clothing, luggage and electronics. 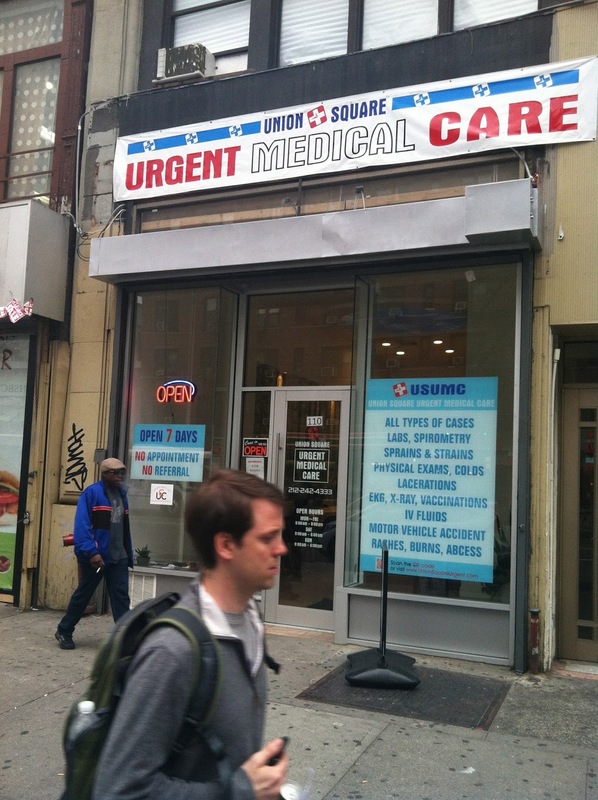 At least there is a small urgent care facility now open to fill a tiny part of the huge void left by St. Vincent's closure, but emergencies don't stop at 8PM when this place locks it's doors. It feels more and more like Manhattan is geared towards tourists rather than actual New Yorkers. I watched this happen on Miami Beach with dread. When grocery stores, bodegas and dry cleaning stores start closing, the dearth of things that people actually need on a daily basis is not only inconvenient, it's a terrible sign for the health of the neighborhood. Is it just rampant greed of the landlords? It seems like some of them would care to foster a neighborhood rather than just keep raising the rents to the point where even national chains can't turn a profit. If they can't, no one can. So let the new business ventures close--then they can raise the rents again.